Our whole family loves smoothies for breakfast every morning, but we’re total creatures of habit and they end up tasting the same every single day! 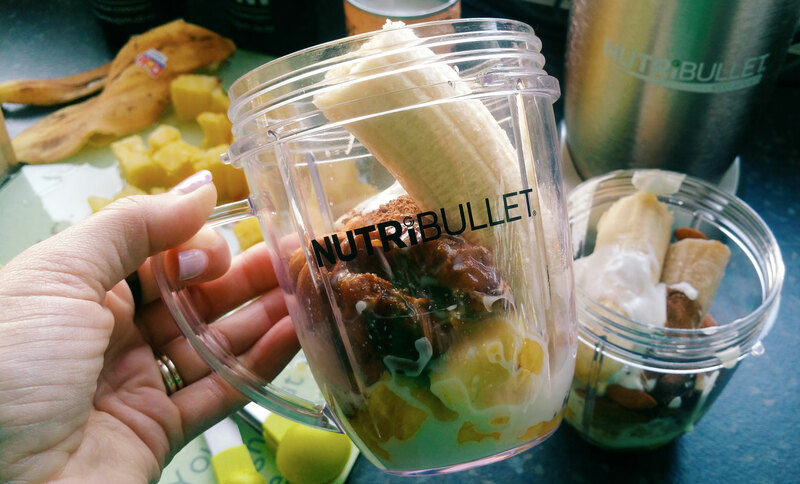 The team from Nutribullet sent me the recipe and ingredients to make Pineapple Lump Smoothies last week and they’ve definitely shaken us out of the smoothie rut. We can’t get enough of this tropical, chocolatey concoction so I thought I’d share the recipe with you! > Blend in a small NutriBullet cup and serve in a chilled glass, topped with fresh pineapple and a sprinkling of cacao nibs. Obviously no fancy food styling here! It was too delicious to phaff around with and really does taste like a Pineapple Lump! I use the NutriBullet Pro which is my favourite appliance in the whole kitchen (after my Nespresso machine lol! ), this guy will change the way you blend, I promise! Thai Chicken Pies – Dinner is served!